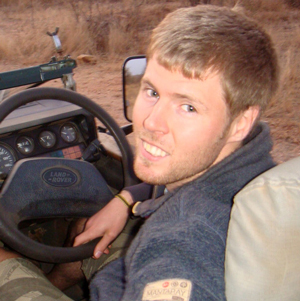 Wildfoot Travel’s Anthony Gregory is a life-long travel enthusiast with unrivalled experience working as a safari guide and travelling extensively throughout Africa. 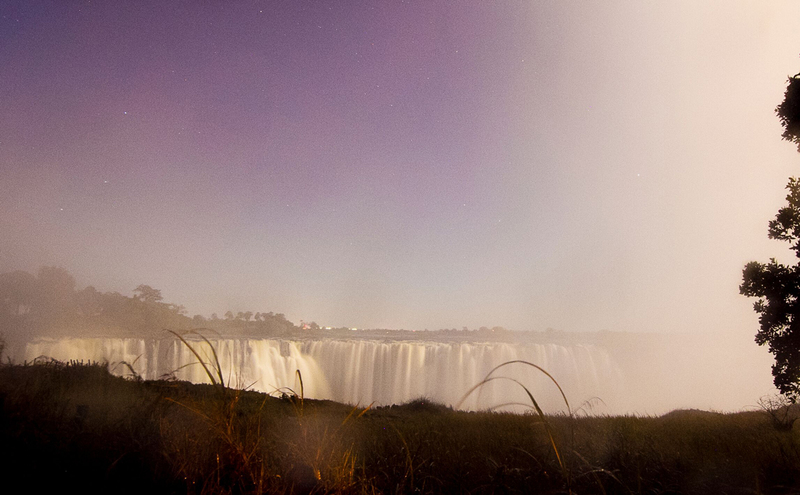 Here he answers a common but all-important question we are often asked by newcomers to Africa, ‘what is the best time to visit Victoria Falls’? As the largest waterfall in the world, Victoria Falls is a must-see for any visitor to Africa, and is a great start or end point for many of our tours to Botswana and surrounds. With its size and flow affected by the seasons though, it’s a good idea to plan your visit to see it at its most spectacular or to experience certain activities. Following the heavy rains that occur from January through to March, the falls are usually full and you’ll see the world’s largest sheet of falling water flowing at full capacity. At this time, the spray is so thick that you can barely see anything through the haze as you get close to the falls, so photographs are difficult to take without a waterproof camera. You’ll also end up soaking wet without a raincoat, umbrellas are useless as the spray comes upwards! Even though the views aren’t great up close, the thunderous roars and sensory overload from the experience are something to behold! This is also a great time to take a helicopter ride over the falls and get an aerial view of its full magnificence, with the spray from the falls rising to over 400 metres. Be aware that some activities such as white water rafting and swimming in the Devil’s Pool are too dangerous to do at this time of year though, when the water is at its highest and fastest. Temperatures during this time reach around 30oC in the day, dropping to around 14oC, and rain and thunderstorms are common. Most visitors would agree that the best time for viewing the falls is during these months, though there can be considerable variance between during and after the rains. Parts of the cliff face are exposed during the mid-water period, and you can see all the way to the bottom with a decent amount of spray and thundering to make for an impressive experience. July is the best time for seeing the ‘moonbows’ (full moon rainbows) and getting a photo of these is high on most visitors lists. If a safari is part of your trip, June to September is the ideal time as temperatures drop, the bush thins, and wildlife concentrates around permanent water sources. With the Chobe and Hwange right next door, there’s no reason not to take advantage of a quick trip into the bush! Temperatures during January/February are around 30oC, with high humidity and lots of rain and thunderstorms. This is also when malaria is at its peak so be aware of this. From June to September, the temperatures are a pleasant 20-25oC in the day, dropping to 5-10oC in the evening so make sure you bring warm clothes! From the end of September onwards, the water flow over the falls drops considerably, and only the Zimbabwe side still has water, as the Zambian side diverts theirs for hydro-electric power, which leaves it dry during the low water season. On the Zimbabwe side, water still flows year-round over the main falls and the Devil’s Cataract, the lowest of the five falls. In October, it’s possible to walk the full length of the waterfall trail without getting wet at all – a big difference from the rest of the year. This makes it a good time for photography, as the lack of spray and ability to see the whole falls means some picturesque shots can be taken from up close without fear of ruining your camera. November is the start of the green season, when the first spring rains start, though these don’t make any difference to the falls until a few months later, when the water has worked its way down from the Angolan foothills to collect in the massive gorges that feed into the falls. For activities, November is the best time for white-water rafting as the rapids are very fast when they’re at their lowest. Walking down to the gorge is safer as well, as you’re not at risk of being buffeted away by the water, and the knife-edge walks on the Zambian side aren’t so precarious. Temperatures in October are the highest of the year with the mercury rising well above 32oC, and as the humidity starts to increase, this makes for an uncomfortable climate. From November onwards, the rains start to arrive which bring welcome relief but are also unpredictable to prepare for. As the falls sit right on the border between Zimbabwe and Zambia, you’ll also need to decide which side to see it from as both sides give different views and perspectives of Mosi-oa-Tunya or ‘The Smoke That Thunders’. It’s generally accepted that Zimbabwe has the better view of the falls as a whole regardless of season, but the Zambian side enables you to get closer to the falls. In the dry season, Zambia has the famous ‘Devil’s Pool’ where you can swim at the top of the falls during low water, and are able to look over the falls if you’re brave enough! The times that you can swim though aren’t always the best times for the view, as the pool is safest when there’s little water. Alternatively, getting visas for both countries isn’t difficult, so you can see both sides if you have the time to spare, it’s definitely worth it! Both sides have airports and local towns (Victoria Falls Town in Zimbabwe and Livingstone in Zambia). The Falls are an incredible sight regardless of the time of year you visit, and you’ll never leave disappointed. We’d generally recommend visiting at a time when you’re likely to experience too much rather than too little water, but that depends on what you’d like to see there. The activities vary depending on low and high water, and if you’re there as part of a wildlife trip, then the best time is June to August when you can take advantage of the falls close proximity to the Chobe and other nearby game reserves. You’ll still have plenty of water going over the falls, an enjoyable climate, and great game viewing. Ultimately, the best time to visit the falls is as soon as possible!